Ralph Lauren’ products are the most anticipated products all the time. Mostly their fans have waited for something new. Finally, they come up and release the Polo Red Cologne as a men’s perfume. Its description tells us about how “Fiery Blend” this product is. The designer told us that Fiery Blend means it ignites the thrill-seeker in every mankind. Such a confident statement results in a high expectation for this fragrance. Rather than targeting unisex, Polo Red Cologne is targeting male users straight from the start. Unlike the statement the company gave, Polo Red Cologne doesn’t seem to have an overpowering aroma which is necessary for the fiery approach. It comes up with citrus, warm and vigorous fruity scents. Pretty poor judgment is making the customers confused for the purpose of this product. Nevertheless, let’s see if you are one that against it or not. Polo Ralph Lauren Corporation is an American corporation known for the clothing, marketing, and distribution of premium lifestyle products in fragrances. The company’s brand name is using its the founding fathers’ names, which include Polo Ralph Lauren as its main boss. The company is famous throughout the world, especially for its clothing products. But Polo Ralph Lauren didn’t want to stop just at that. He continues to invent new products and finally comes with the Polo brand perfume. 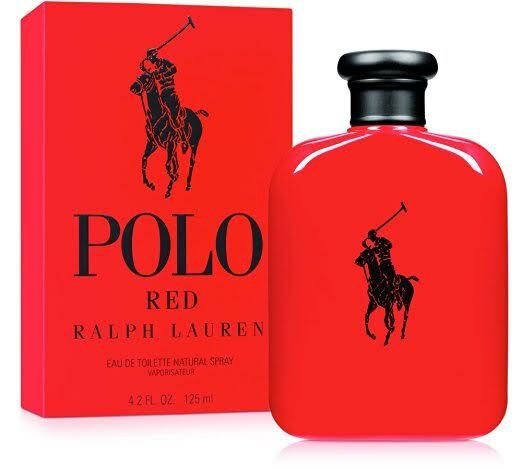 The Polo Red Cologne is one of the inventions of Polo corporation. It is a really straightforward fragrance. The Polo Red Cologne is intended for men, has a masculine approach, and basically sold to beat other fragrances with moderate pricing. Better quality is what Polo Red Cologne offers in this case. The product is the creation of Polo company’s perfumers. With the help of heavy advertisement, Polo Red Cologne reaches its popularity right now. The packaging is simple and neat. It is best for a man who loves masculine looks. The packaging uses the primary red color as the product name. The red color is followed by the big printed Polo name and Polo brand at its surface. Such classical appearance makes us remember the other Polo brand products. Polo Red Cologne opens the with fruity aroma mainly coming from the top notes such as grapefruit, Italian lemon, and cranberry. The middle notes more or less are common in fragrances like saffron and sage. The accumulation aroma close with some amber, woodsy, and coffee notes. Polo Red Cologne fits really well with men who love a soft but appealing scent. The sillage is soft which is fine, but some prefer a stronger scent. The same like sillage, the longevity of Polo Red Cologne is pretty bad too consider the fact that it is a daily perfume. Sillage and longevity are rather weak. Check the best price for Polo Red Cologne here!